In his 14-year NBA career, Oscar Robertson was a 12-time All-Star, won both the 1961 Rookie of the Year and 1964 MVP awards, and led the league in assists six times. 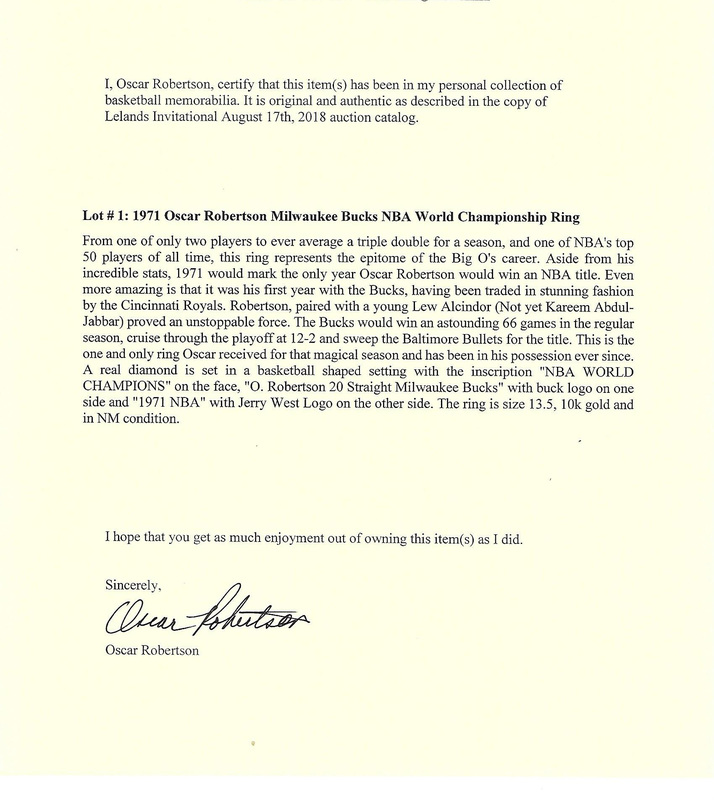 Yet, none of the personal accolades and individual accomplishments meant as much to Oscar than his lone NBA title with the 1970-71 Milwaukee Bucks, the team to which the Cincinnati Royals had traded Robertson the season prior. While the trade was disconcerting to Robertson, the move paired him with a young Lew Alcindor (soon to be Kareem Abdul-Jabbar), creating a dynamic combo. The Bucks won a league-best 66 games including an unprecedented stretch of 20 straight victories. The Bucks rammed their way through the playoffs, sweeping the Baltimore Bullets in the Finals. When the dust had settled, both the Milwaukee Bucks and “The Big O” had won their first and only World Championship. This is the one and only ring that was presented to Robertson after that incredible season. 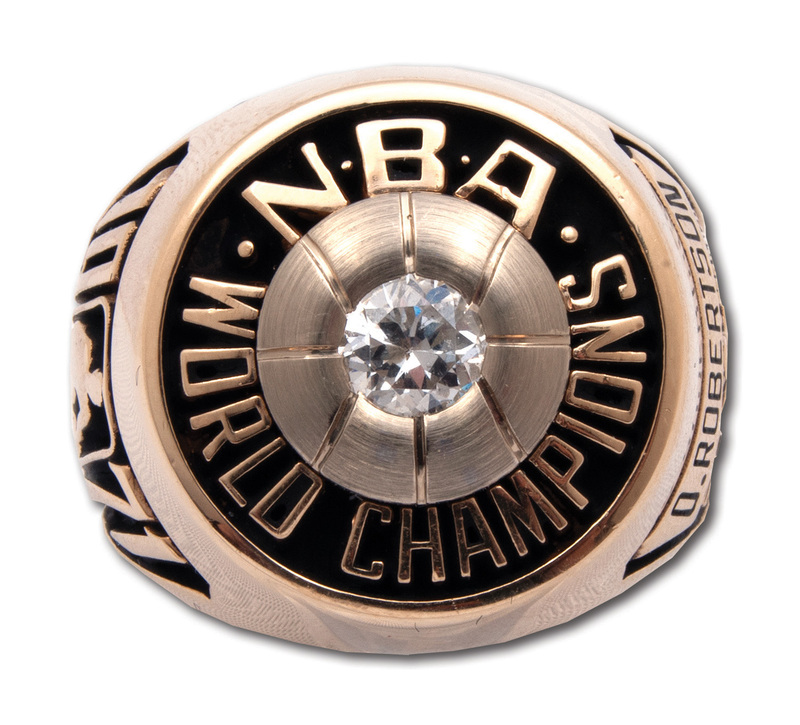 Crafted from 14-karat gold, the top of the ring proclaims “NBA WORLD CHAMPIONS” in raised letters surrounding a gold basketball upon which is mounted a gleaming real diamond. 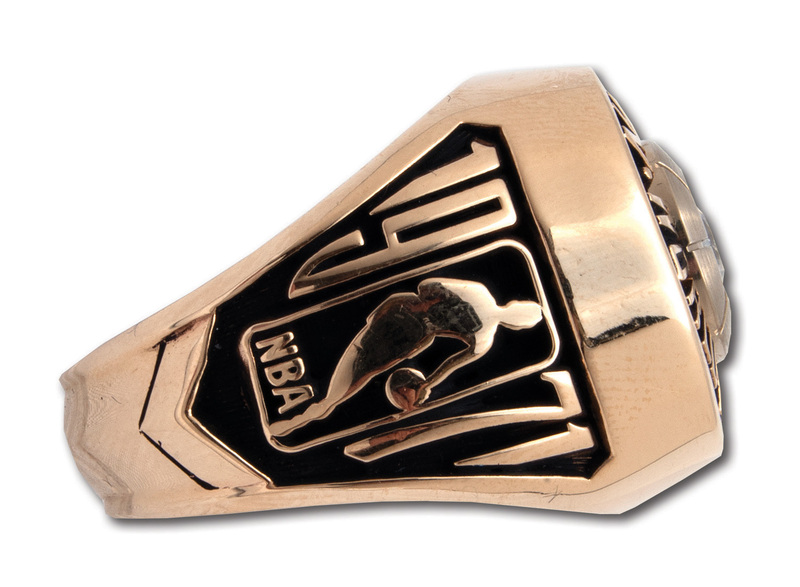 The left shank has the iconic NBA logo with “1971” in raised gold numerals. 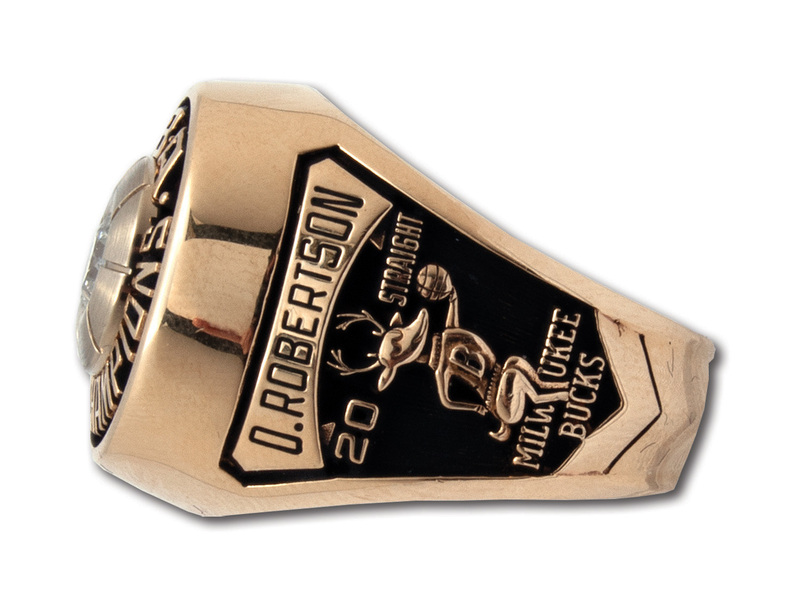 The right shank features the Milwaukee Bucks logo along with “20 STRAIGHT” and “O. ROBERTSON” engraved on a gold ribbon. The ring comes in Oscar’s gargantuan size 13.75 and weighs 40 grams. The “Balfour 14K stamp” typically found inside the band has worn off; we had a professional jeweler confirm its 14K gold composition. Overall, it presents in NM condition with moderate wear. 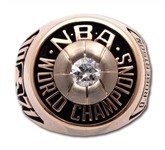 The only other example of this ring worthy of comparison is Kareem’s, which recently sold for $150,000. Includes LOA from Oscar Robertson.